Do you ever wish you had more space to run your Amazon FBA business? If you're anything like me and Cliff, you've battled couches full of boxes, kitchen tables cluttered with plushes, and a living room turned prep center! Let's face it, running a full-time FBA business from your home can get a little crazy at times. 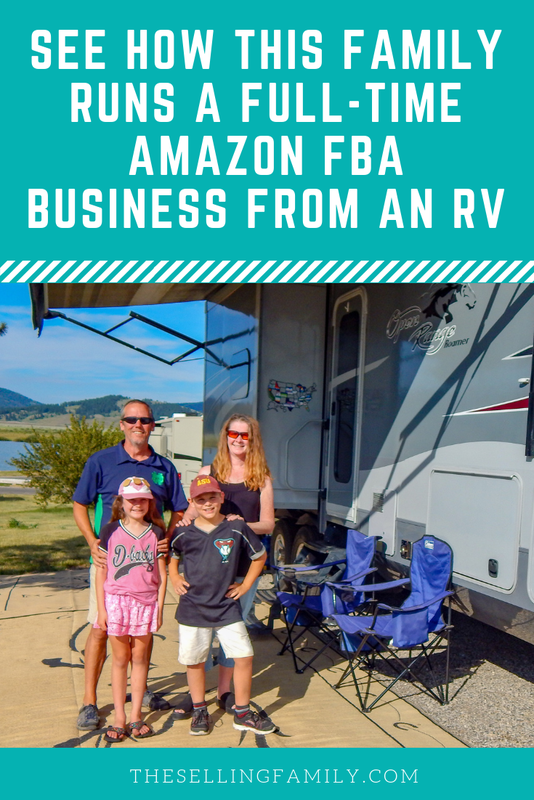 So can you imagine running a profitable Amazon business while living in an RV? Depending on your personality, this idea may sound incredible or terrifying! But many of us start our FBA businesses so that we can be location independent, and what's more flexible than being a full-time traveler? I know that some of you are curious about this lifestyle, so I was thrilled when I had the opportunity to talk to the family who runs The Roving Foleys. 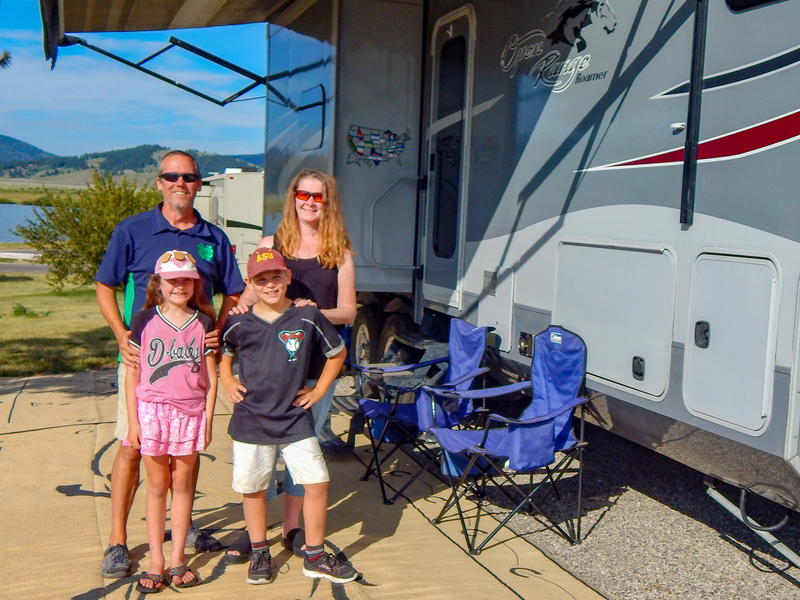 The Roving Foleys are a family of 4 who lives in their RV full time, traveling the USA and enjoying all of the wonderful places to see and experience. They operate a successful Amazon business and website, and blog about their adventures as well as passing along helpful advice on RV’ing, traveling full time, and working mobile. I wanted to share their unique story with you so that you can see just how much is possible when you run your own Amazon FBA business. I'm going to go ahead and turn it over to Frank and Gráinne Foley now! Running an Amazon Retail Arbitrage business while traveling full time has been one of the most challenging AND fulfilling (no pun intended) endeavors of our lives. In 2015 we sold everything and bought an RV. We have been traveling around the USA ever since. We really enjoy this “modern-day Gypsy” existence. We homeschool our 2 kids and enjoy all of the time that we get to spend with them as they are growing up. Our Amazon business is our means of paying our bills and supporting our travels. One of the most common questions we get from other Amazon Sellers is “How is it possible to run this business while traveling full time?” That is a tough question to answer, but it reminds me of a funny story. My cousin was born with webbed toes. But the question has given me pause to consider how our business differs from others that run their businesses out of what we call an“S&B” (sticks and bricks home). There are some great benefits outside the fact that my backyard changes from Yellowstone to Glacier to the beach, but there are also some challenges that we have had to adapt to and overcome in order to have success. Hopefully, these ideas will help others who may want to travel AND run a Retail Arbitrage business. One benefit that we have in our particular situation is that we have a really big RV. We got a big fifth wheel that has a large “bunkhouse” in the back. That is the kiddos' bedroom and it has a door that closes. This is a really meaningful thing when you live in less than 500 square feet and are trying to run a business. I see a lot of families that travel in much smaller rigs with kids. I envy those people because they can be so much more mobile and nimble than us, but I think in our household we would kill each other! The setup also gives us some much-needed storage space while we transition product. Many’s the time the kiddos had to clamber over boxes to get into bed! One important aspect of this business for us is that we HAVE to use FBA. Outside of the inherent benefits of FBA from a listing/selling standpoint, we simply do not have the space to store product long term so it must come in and go right back out. I have always been and continue to be a fan of FBA, but with the pick and pack (I refer to it as pic-pocket and pack) rates on the rise, it certainly does cause me to wonder if there is a better way. The Amazon Sellers App makes it so easy to determine good deals. This plus Jungle Scout to make sure the product sells well these are key tools for us. Moving place to place though, we do not have the opportunity to build longer-term relationships with the locals to help us get clued in on when there is an inventory dump coming up so we have to keep on our toes. For the most part, we shop online for deals. Finding resources like “The Selling Family” is critical. We have gotten some absolutely fantastic information using Jessica’s email list. Then we looked for distributors all over the nation and scanned their offerings for products that we determined would make money on Amazon. We look for distributors that have SKU lists so we can search the sales and, again, use Jungle Scout for sales history. This is the part where being on the road most affects what we do. We have to be extra efficient at moving products in and out quickly. Packaging materials alone nearly suffocate us during Q4. I remember one time having the back of our pickup truck absolutely crammed full of shipping boxes and rather large rolls of bubble wrap. The bubble wrap was 12 x 12 squares so we had sections of it cut off and filling all of the interior storage areas under our bench seating. Once a shipment of products arrives, it’s all hands on deck! We get the kiddos involved and give them some homeschool credit for their work, Retail Arbitrage 101! We will print out labels and then set up an assembly line - unpack, relabel, repack, rinse repeat… The kids really enjoy helping us out whenever they can. It is great family time! Then we get the boxes to wherever we are shipping from. Many times the RV park will allow deliveries and shipments right out of their office which is very convenient. Otherwise, it’s off to the local UPS shipping point. There was one year during the holidays that we were staying in a campground in Arizona. The office at this park did, in fact, allow shipments in and out. While we were there we had about 600 units of a Private Label product we carry that had been mislabeled by the manufacturer and sent to Amazon. We did not realize this for about a week and by then the units had been re-distributed by Amazon all over the country. We had to recall them all and have them sent to us at the campground so we could personally relabel them. If you have ever recalled a product from Amazon you will know that you do NOT get the case lot packages that you sent them in. You get them 1 or 2 units at a time. And this was happening during the holiday season, so we had a TON of product coming and going anyway. SO - just imaging this poor RV Park office which may get 5-6 packages on a given day suddenly getting 20-30 boxes in every day, me picking them up in my truck, running back to my site, re-packaging and re-labeling and then bringing it all back for shipment out the next day. This went on for weeks. Our site looked like the back room at Walmart on delivery day. OMG, everyone thought we were NUTS! While I have always believed in keeping a tight inventory, that belief becomes even more important while traveling. There is an old adage that in business, pigs get fat while hogs get slaughtered. This couldn’t be more true for the traveling seller. You have to be very disciplined not to overbuy stock even if the price is awesome. There is too much risk of it sitting in FBA Centers collecting storage fees. I am always envious of folks with a storage area or big garage who can really stock up on a good deal and then wait out the pricing cycles to sell it off at the best times. As a traveler, you just don’t have that luxury. Product loses its margin advantages pretty quickly sitting on Amazon shelves. Like I said earlier, when it comes to making it work from an RV, we just DO! But then, that’s in all of our Retail Arbitrage DNA now, isn’t it? Want to start your own Amazon FBA business? 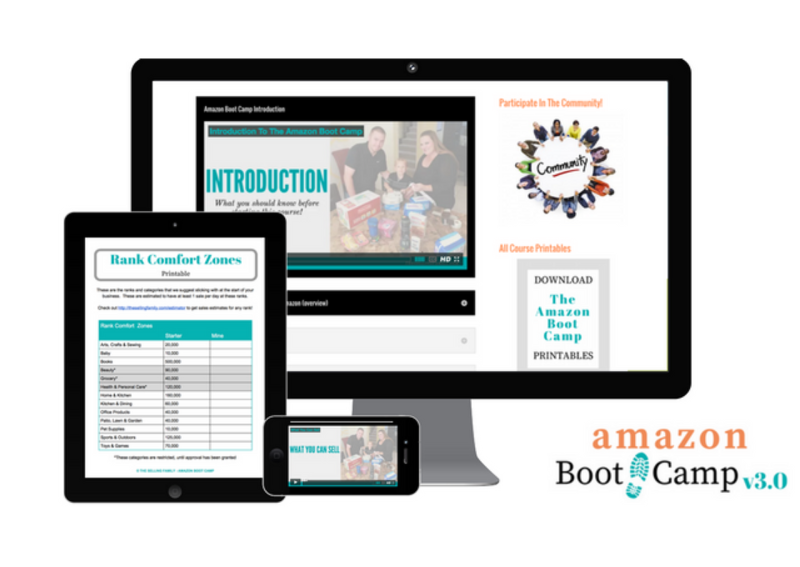 Check out our Amazon Boot Camp and get started today! Thanks again to Frank and Gráinne for sharing their story with us! I hope that you found it as interesting as I did! My favorite story is all those returns from Amazon. I can just imagine that happening since I know how crazy it is to get big quantities back from them in a million packages. If you'd like to keep up with their travels and adventures, the Foley family can be found at www.therovingfoleys.com or @rovingfoleys across social media. 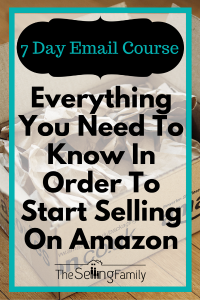 So, I'm curious: have you ever considered hitting the road to run your Amazon business? If you've ever tried this, or dreamed about it, let me know in the comments below! Praying for that day to come. I truly believe the Lord has lead me to this. I have been actively looking for something to help supplement our current low paying jobs so we can have a future on the road. We are cheering you on Teresa, we believe it can work for you too. We are in the early stages of planning for this. Just went to the RV show last weekend. I was almost positive that we need a 5th wheel and now this solidifies it for us! Best part…no kids, so a bunk house will make a great office/ storage room. Thanks for sharing. I will be signing up for the blog! Geat story! Thank you for sharing! Yes! Yes! Yes! This is my dream! Great article and thank you for sharing. I’m sure you will do it! can’t wait to hear when that dream has come true for you.